Do we need to revisit K? Presentation at GRDC Advisor Updates, Adelaide, 2014. Response to rate and timing of K Research work by Dr R Brennan, Western Australia. 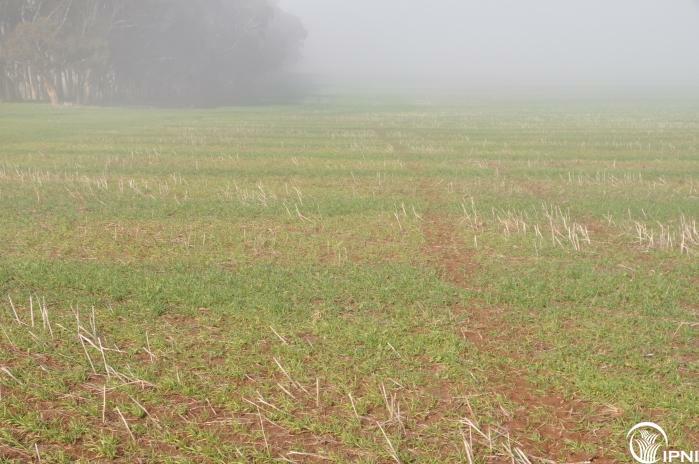 Landmark agronomist at Lake Bolac Ed Hilsdon noticed strips across some areas of a wheat crop in a paddock south of Lake Bolac. 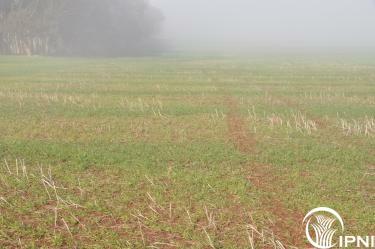 The strips corresponded to windrows from a canola crop last year. 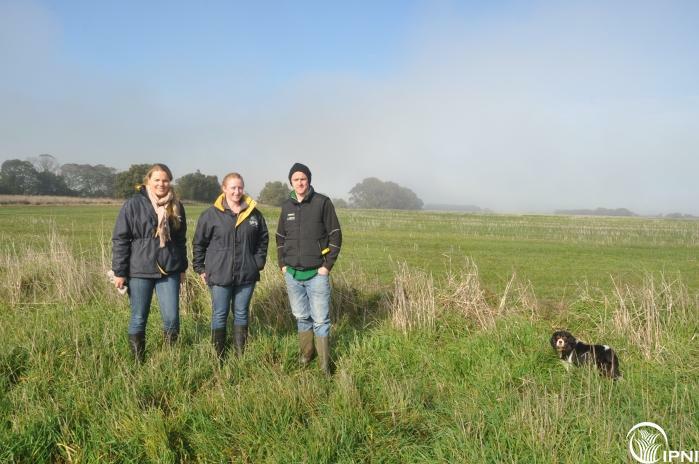 To diagnose the potential problem, Ed took tissue samples (whole plants) from in the windrows and between the windrows. Tissue analysis came back as 0.63% K between the windrows and 4.1% in the windrows, pretty convincing evidence of K deficiency in this paddock. Potassium, unlike other nutrients, K does not form compounds in plants, but remains free to 'regulate' many essential processes ... including enzyme activation, photosynthesis, water use efficiency, starch formation, and protein synthesis. Agronomic crops contain about the same amounts of N and K, but K content of many high-yielding crops is even higher than that of N. Most soils contain large amounts of K, but only a small portion is available to plants over a growing season. 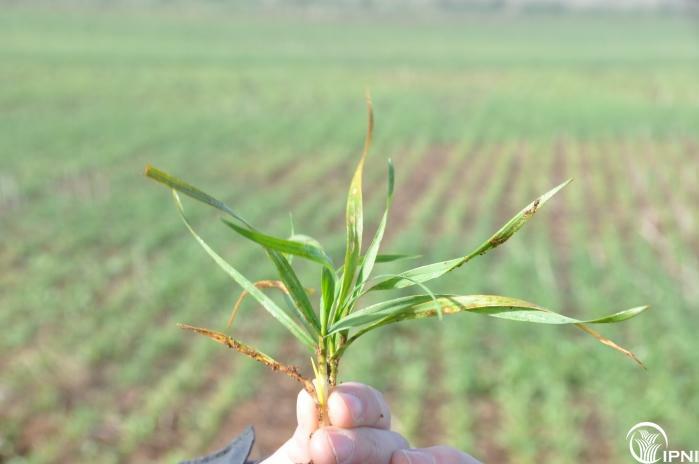 These "windrow" symptoms have been seen in Western Australia, particularly on lighter soils, and the tissue test also supported this diagnosis. 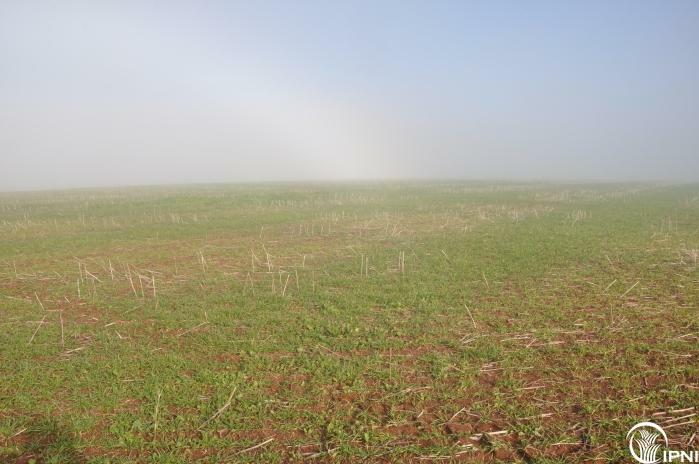 The windrows appear because K leaches out of the stubble and enriches those strips, while the inter-windrows have depleted K status. This shows that the overall soil status is margninal. Because K is not that mobile in the soil, top dressing K as muriate of potash (Potassium chloride) may have only a moderate response unless rates are kept quite high. In this case, 100 kg/ha MOP top dressed as soon as possible was recommended. 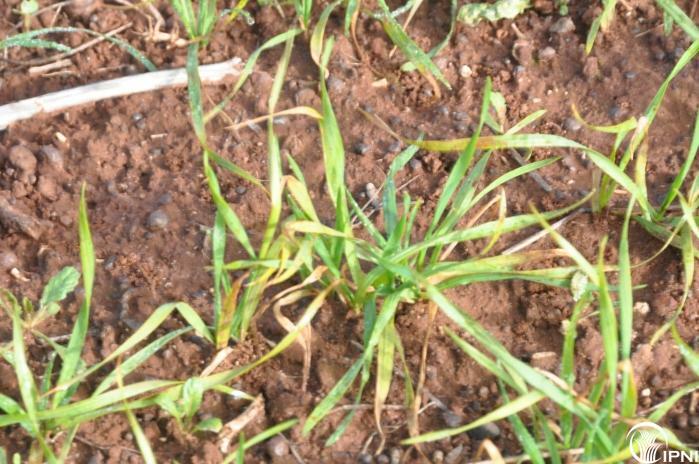 In the future, paddocks at risk would be better receiving K at seeding which is the most efficient strategy - although very high rates if applied in furrow with the seed can cause seed damage. Use the Seed Placed Fertilizer Tool to get an idea of safe in-furrow rates, otherwise, pre-drill, use twin-chuting or topdress soon after sowing. 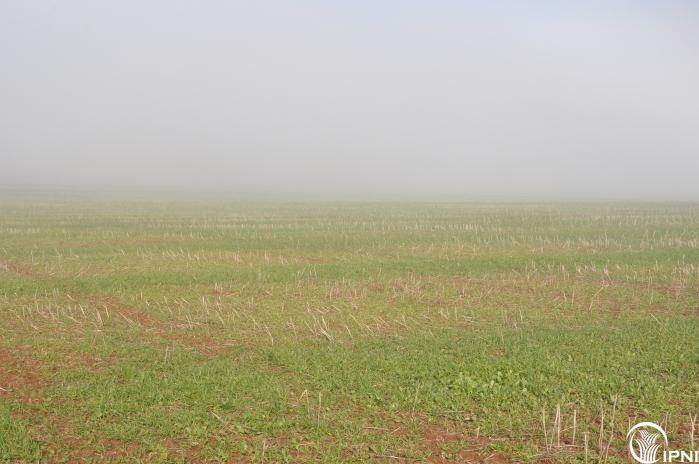 Thanks to Ed for bringing this paddock to our attention - it is hope that a K response experiment will be sown in this paddock in 2015 with collaboration from SFS research agronomists Corinne Celestina and Megan Beveridge.